With the Nikon D4 and Nikon D800 released and out of the way, it's time for us to turn our attention to what is likely to be the next release from the company. We already know that Nikon has big plans for the year ahead, especially with the Olympics almost upon us, so it seems fairly likely that another DSLR release could be on the cards. The D300s has also been discontinued in Japan, following the country's new battery laws, so a new camera would seem to be an obvious outcome. As usual, we can only look to previous release cycles to take an educated guess as to when a new camera will be announced. The D300s was announced almost three years ago, first making its appearance in July 2009, while its predecessor, the Nikon D300 came out just two years previously, in August 2007. That would seem to suggest that we are well overdue a replacement, but perhaps hints towards a summer time release for the camera. As the D300s is a DX (APS-C crop factor) camera, it is some respects it is beaten by its lower valued brother, the D7000. Therefore, it's possible that the D400 will take on a full-frame sensor, making it more like a 'mini' D4, and setting it well apart from the D7000. One rumour has suggested that this could be the case and that the pixel count will be 16 million. If Nikon does decide to stick with the APS-C route, it would seem likely that a high resolution would be on the cards, given the recent introduction of the 36 million pixel D800. Maybe 24 million pixels, as seen on the Sony a77 (who is known to manufacture Nikon sensors) will be the magic number. Other rumoured specs include 6fps shooting and 95% viewfinder coverage. A suggestion has also arisen that it will only use a single CF card slot, once again rejecting the XQD format found in the D4. Again, we can only guess at the price based on previous releases, but it would need to be competitively priced to make it a worthwhile proposition. A D7000 can be picked up for around £1200 at the moment, while the D800 currently retails at about £2400. It's likely, that a D400 price would sit somewhere between these two figures. For months, if not years, the speculation is that the D300s replacement would be the D400, however, recently the suggestion has been that it would skip straight ahead to the D500. 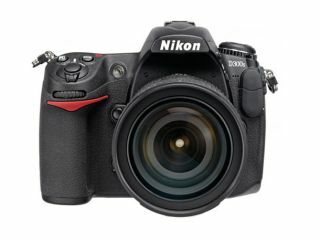 Perhaps this will be to set it further apart from the D300, especially if it is going to be using a full-frame sensor. Stay tuned for more details as and when they emerge.